A Tweedbank man who carried out an unprovoked attack on a man after leaving a party has been jailed for 20 months at Jedburgh Sheriff Court. Niall Gray, 28, of Carlin Court, pleaded guilty to punching the man on the head and rendering him unconscious and then dragging him along the ground, all to his severe injury. 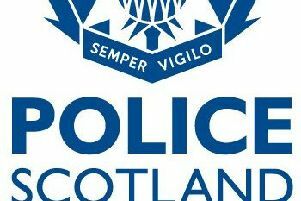 The attack happened in Kenilworth Avenue, Galashiels, on February 4. The court was told the victim was an alcoholic who had consumed four cans of cider and recalls leaving his home during the hours of darkness to visit a friend. Procurator fiscal Graham Fraser said Gray had been at a party nearby and at 9.30pm was heading home. A witness stated how she saw Gray was following the 37-year-old man and shouting at him. Mr Fraser said: “He punched him several times and he fell to the ground and was rendered unconscious. “He was then dragged along the path and there were further kicks to the head and body. Officers soon located Gray who stood out because he was wearing only one shoe and was hopping along the road and was taken into custody. The victim was found to be suffering from multiple small fractures to his left cheek and other injuries. When cautioned and charged Gray said he had no recollection of the incident and was sorry for what had happened. He had consumed three bottles of Buckfast before carrying out the attack. The 20-month jail sentence was back-dated to February 6 when Gray was first remanded in custody in connection with the matter.